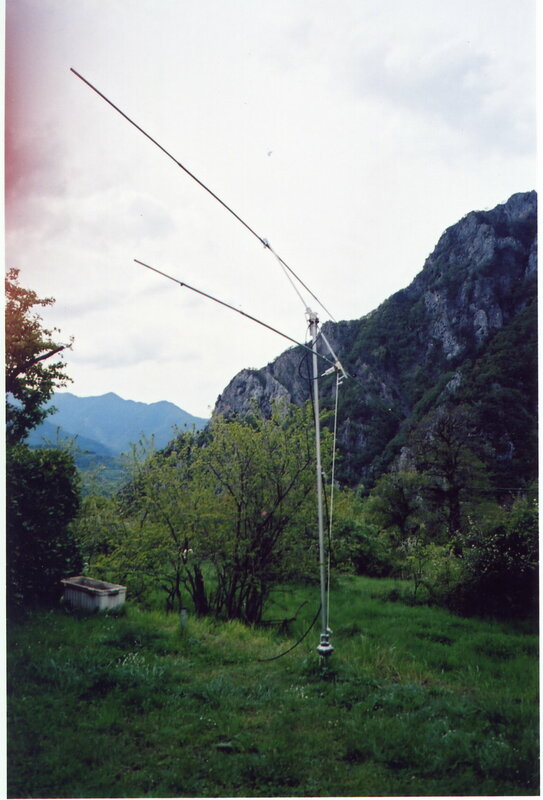 The NICEro Amateur RadioAstronomy Observatory is located near Nice (France) in Berthemont-les-Bains, (Latitude 44°3' N, Longitude 7°19' E, Altitude 900 meters) in the Alpes Maritimes . This observatory participates to the NASA Radio JOVE Project. monitoring Solar and Jovian activity on 20.2 MHz and 22.4 MHz. 2-elements Yagi antenna for 20.2 MHz , using 25 meters of RG-213 cable . show a 1600 kHz wide RF spectrum in a waterfall display and record it for later processing it is used to see the shifting in frequency of Jovian and solar bursts. RF-2020S calibrated noise generator. A calibrated noise generator is needed for quantitative measurements of the intensity of the bursts. It is connected to the antenna switch box. Radio-SkyPipe Pro software fom Radio-Sky Publishing to stripchart the observations and to record the audio. Radio-Jupiter Pro software fom Radio-Sky Publishing for the predictions of Jovian storms. Link to the Radio JOVE Jupiter Storms Predictions for USA (Eastern, Central, Mountain and Hawaii Time Zones) and Central Europe Time Zone. The Sun is also oserved on 12GHz using a very simple and inexpensive equipment. 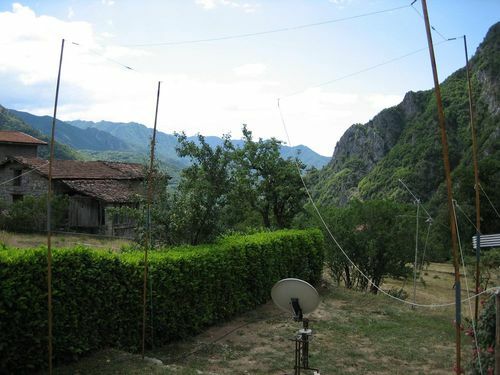 This picture shows the small back-yard where the 2-elements Yagi (in the background) and the MOXON antenna are installed. The small dish is used for Sun observations at 12GHz. Two views of the Yagi , Look at cow "under" the Yagi. 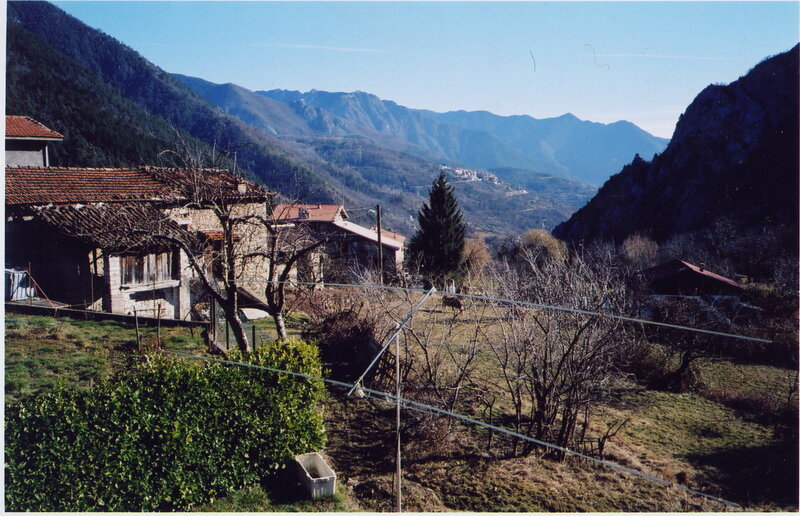 You can also enjoy the Mercantour National Park, one of the most beautiful National Parks centred in the Alpes Maritimes in France.